Wow! Has it been over a month already since I last posted? How time does fly. Even writers need time off and this girl is no exception. I am a bit of a workaholic, but only when it comes to writing. When I am in the throes of a book, it consumes my every thought every minute of the day. Not a problem if you’re single and childless, but when you have a husband and three rambunctious children at home, it can create issues. After the flurry of wrapping up the end of the school year activities of recitals, awards ceremonies, parties and the like, I took a much needed break. 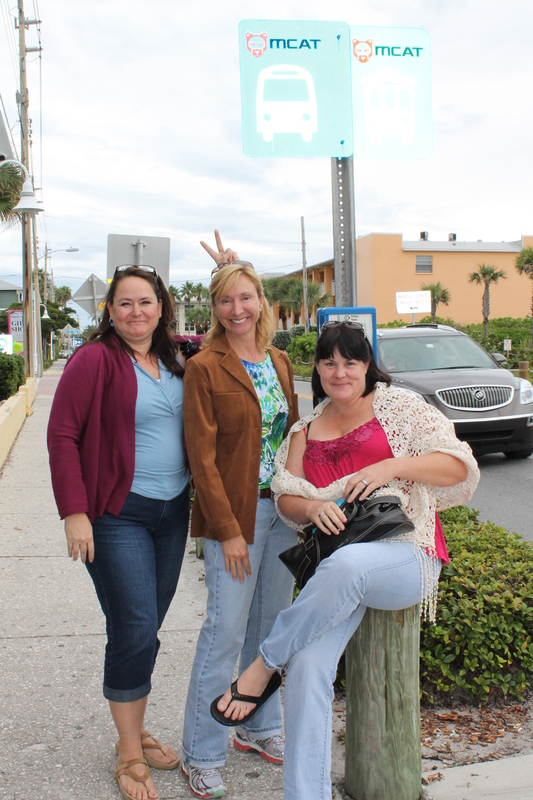 I kicked things off with a girl’s getaway weekend on Anna Maria Island, Florida with my BFFs, an amazing group of women who have encouraged, and inspired me for nearly a quarter of a century. Our linchpin, Robin, is the very lady who got me my first paying job as a writer for the Tampa Tribune back in 1990. At the time, she was a photographer/multimedia specialist for the paper. She twisted an editor’s arm to give me a shot, then gave me a kick in the pants to produce. The rest, as they say, is history. Over the years, Robin’s career path has rambled through Real Estate, retail sales, and a few other ventures while she and her husband put themselves through school. She has a Master’s in Education and is a science teacher. She is the bright sun around which our system of sisterhood revolves. The credit for this enduring cadre lies solely at her feet. She brought us together. She organizes the getaways. She is the brains of the outfit. The fact that she has stood by my side through my best and worst days and loves me still is a testament to her big heart and forgiving nature. She was kind enough to wait until I had my eldest son before she and her husband decided to start a family. From the start our boys were inseparable. She is the only other parent I know who relies on canine obedience training as a basis for raising children. An avid reader herself, she has threatened me with dire consequences if I do not produce BARRON’S LAST STAND in a timely fashion. Robin’s sister Kim is an ICU/Critical Care nurse by day and our cruise director by night…or whenever. Kim has a sense of glam and whimsy that takes a simple weekend and makes it into an event. There is no such thing as a simple meal with Kim around. Both sisters are foodies and when you send them for groceries you end up with gourmet fare that makes you wish you’d brought trousers with elastic waistbands. They both inherited their artist mother’s sense of aesthetics. Kim has a romantic eye for beauty. A sensualist by nature, Kim’s goal in life is to wring every drop of pleasure from the experience as possible. Kim reminds us to be in the moment. For someone like me, always looking at the overall plot and how it all works together, Kim brings my brain to a screeching halt and reminds me to stop thinking and breathe — enjoy the salt air, the warm sun, the cool water, and the decadent smorgasbord of the senses all around me. Michelle is the steady hand at the helm. Robin and Michelle have been besties from childhood. Michelle served briefly in the US Army as a mechanic, but her dream was to fly. So, Michelle took lessons, got her license, and has flown the news chopper for local television and currently flies crews out to offshore oil rigs. Michelle is the voice of reason in our group. She is the soft-spoken conscience who asks the right questions, listens from the heart when we need to vent, and cuts through the crap when we try to delude ourselves. Her opinion is valued because it is seldom volunteered. Her wit and wisdom keep us laughing. Though we know we’ll never keep up with her, it doesn’t stop us from getting off the couch and following her out the door to our next adventure as she heads out with a gleam in her eyes. We have raised our children together, helped one another move, scraped each other up off the floor when life kicked us so hard we didn’t think we would ever get up again, cleaned each other’s homes, celebrated triumphs and grieved losses together. We have forged memories and laughed until our sides ached. We have been friends so long that we are more family than anything else. No matter how far we move from one another, we always manage to come back home, back to our cadre of sisters. These are the women who knew me when I was young, thin, and full of big dreams. These are the women who have held my hand through every mistake, and put up with every embarrassing gaffe and misspoken word I’ve ever cringed to recall. We have all fought health issues, financial setbacks, marital problems, and dramas enough to keep Women’s Entertainment in screenplays for the next decade. We are one another’s biggest fans. We get together as often as time, family, and careers will allow. They are as much a part of me as the characters I create. You will find a bit of each of them in every character I write, as well as shades of our friendship in the relationships between the characters in my books. They are my sounding board, and my compass. These are the women I look to for guidance when I lose my way. They are the sisters of my heart and without them, I wouldn’t be where I am today. I just thought you should meet the women who inspire me.